After doing the roof the owner asked us to clean the gutters as well. Upon further inspection the soffits to were covered in mold. 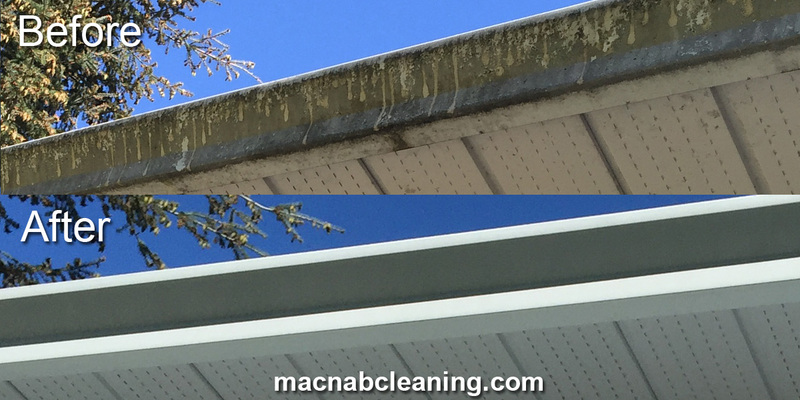 The prevent further spread of mold into the house we treated the roof, gutters soffits, and siding. The home looked like new by the time we left.